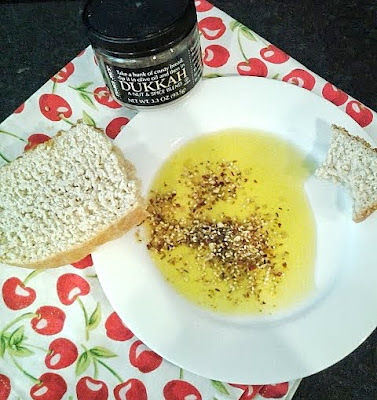 Creating Community Around Food. Making Wholesome Food Convenient. 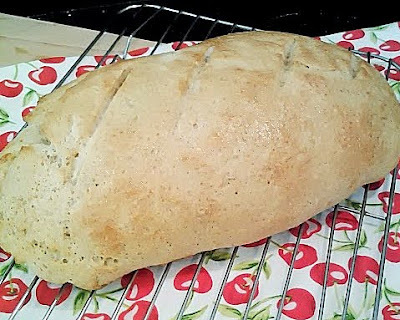 Baking bread using yeast was something my mother never attempted. She baked frozen bread loaves and in my childhood memory they were a special treat. The bread pan would sit atop the fridge and wait. All afternoon. It would get bigger and bigger. Then we got to bake it. The smell. OH, the smell. And then the butter. OH, the butter. And my life was complete. 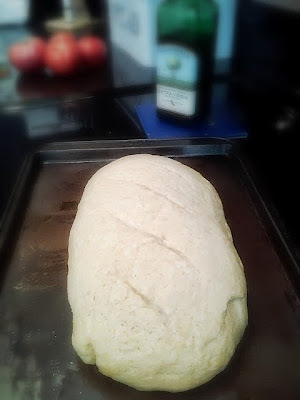 Until I caught on to baking bread with yeast. Why would anyone ever NOT use yeast? Don't be scared. Its so simple a donkey could do it. You measure yeast into hot water. 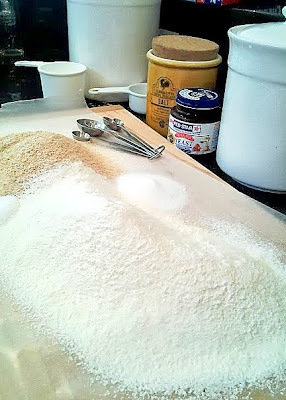 Let it sit for a specified time (usually 5 minutes), add dry ingredients with the yeast into a bowl. Knead it (so easy when you have a Kitchen-Aid - does all the work, but kneading by hand can be very therapeutic!). Rise it. And wait. Just like I did when I was 12. After your done watching your 5 year old fall off their Razor scooter and scratch off their face so that you have to cancel family pictures for the third time letting the bread rise. In this case about an hour and a half, you get to punch it down. I forgot to click a picture of the risen bread because I punched it immediately upon uncovering the beauty. I couldn't help myself. Punching bread is so empowering. 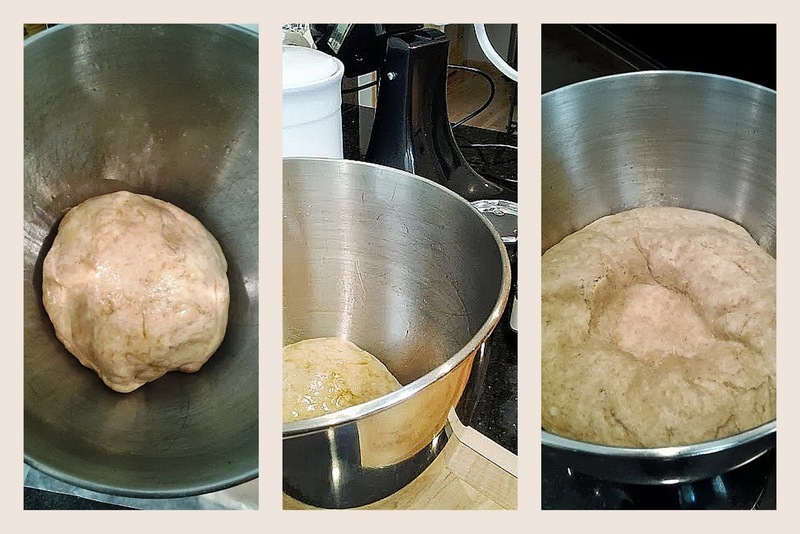 After the dough rises you get to form it into a loaf. It's pretty simple - if you're good at wrestling. Not really. Just take charge. Remove the loaf from the bowl and turn the loaf into itself, until you get a loaf looking thing. Kinda pat it and slap it. Not too hard. Here's the dough after I punched it and formed it and scored it. Hello bread. Here's the dough after it sits for 15 minutes. Hello bread. 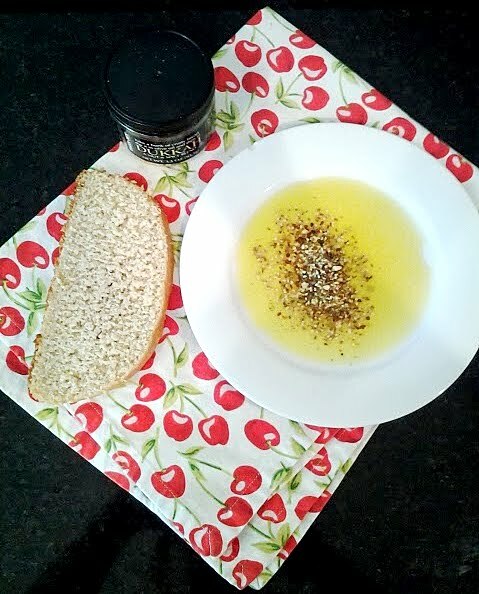 If you bake bread from yeast regularly you might be thinking this recipe is too easy. No! It's good. Promise. The method really works. I know. Rise in the oven? Rests for only 15 minutes? Bakes for only 15 minutes!!?? The broiler method for rising is a peculiar one, but I trusted the way I found it on someone's blog (sorry it was last year when I printed this recipe and I can't find the post to link back to) and it works. I used a half and half ratio with my white and whole wheat flour. It's interchangeable for your palate - a little less whole wheat will make a lighter loaf - a little more whole wheat will make it more dense and hearty. You get the picture. Dissolve the yeast in very warm tap water in a mixer bowl. Add sugar, olive oil, salt and flour. 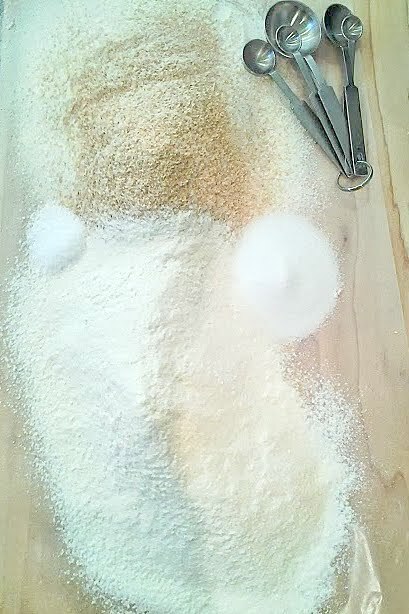 Using the bread hook, begin mixing; once it forms a ball, knead for 2 1/2 minutes on medium speed. Place the dough ball into a well oiled bowl, brush or wipe a little oil on the top of dough ball. Turn the oven onto broil for 90 seconds, and then turn it off. Place bowl of bread dough into oven and close oven door. Let rise until doubled. This will take 1 to 1 1/2 hours. Punch down the dough; shape into a loaf and place on a well greased cookie sheet. 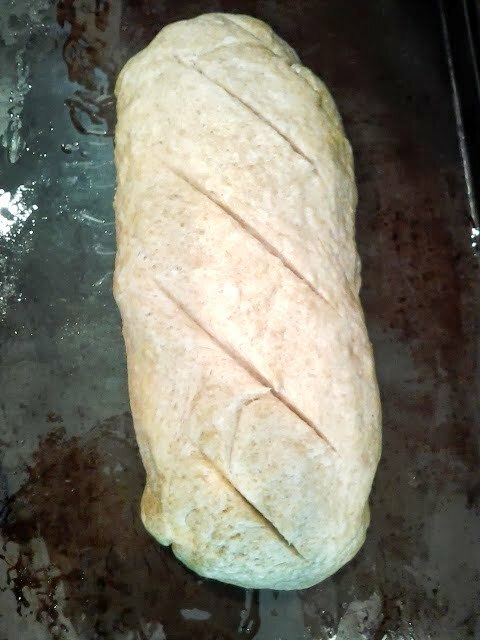 Score loaf horizontally 3 or 4 times 1/4" deep with sharp knife. Let it rest for about 15 minutes, covered. Bake at 400 degrees for 15-20 minutes or until golden brown. Cool on a rack. Rub butter over top of loaf while still warm for a softer crust. Ballymaloe Trained Chef. 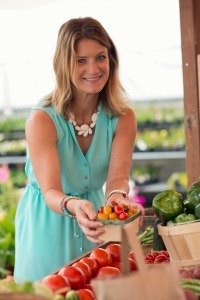 Wife, Mom of 2, Small Business Owner and Local Food Expert. All content © of Becki Melvie 2013-2016. Simple theme. Powered by Blogger.